CarGurus has 48,952 nationwide Malibu listings starting at $1,499. 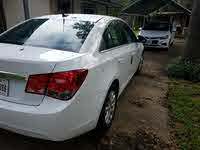 The 2010 Chevrolet Malibu features loads of standard creature comforts, a sedate, comfortable, and tolerably roomy cabin, and the choice of a gas-miserly four-cylinder engine or a peppy V6, along with a standard six-speed auto-manual transmission on the LT trims. A dearth of standard amenities common to some of the competition, poor rear visibility, cramped rear seating, and some less-than-stellar cabin materials indicate the Malibu is due for an expected makeover. For 2010, Chevy got it right with the midsize Malibu sedan. This well-conceived auto looks good, runs well, and handles the commute as well as the trip to visit grandma with equal efficiency and style. Definitely worth a good long look. Considered one of the best values in the midsize sedan market, the 2010 Chevrolet Malibu just keeps on rolling. Since its inception in the mid-1960s, the Malibu has seen solid sales based on reliable performance, popular features, and tested design. With the deletion of the Pontiac and Saturn brands from GM’s lineup, the Malibu remains the automaker’s only entry in this dog-eat-dog segment. Because of an anticipated major redesign for 2012, the 2010 Malibu sees few changes from ’09 and will probably stand pat for 2011 as well. The 2010 Malibu is available in four trim levels, the base LS, mid-level LT and LT2, and the top-shelf LTZ. All trims are delivered in front-wheel drive only, with a standard inline four-cylinder (I4) engine. The Malibu LS offers a four-speed automatic transmission, standard, while as of 2010, the LT, LT2, and LTZ now feature a standard six-speed auto-manual transmission that gets a bit better mileage. 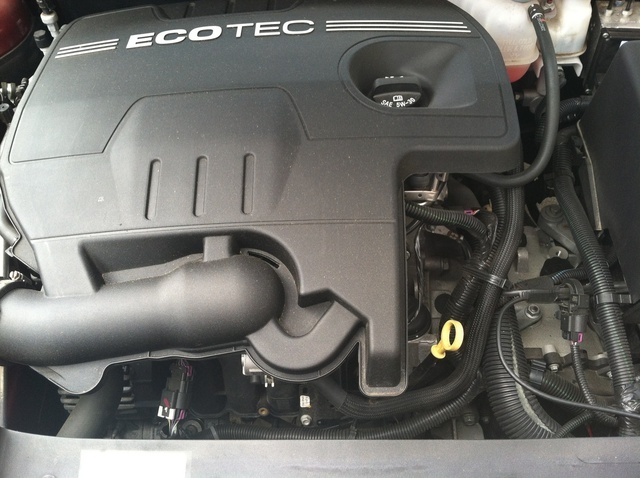 The LT2 and LTZ trims also offer an available V6 engine. A number of reviewers have suggested that those interested in the 2010 Malibu consider stepping up from the LS to the LT trim just for the standard six-speed automatic. Interestingly, GM has decided to drop the Malibu Hybrid trim for 2010 due to lagging sales of its 2009 hybrids and an inability to generate significant profit. However, the gasoline-powered 2.4-liter engine gets some 22/33 mpg when combined with the six-speed automatic transmission, pretty close to the figures for the single-mode ’09 Malibu Hybrid (26/34). A 2.4-liter DOHC variable-valve-timed (VVT) inline four-cylinder (I4) engine is the standard powerplant for the 2010 Chevy Malibu lineup. 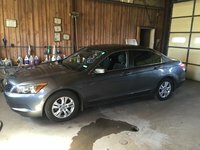 The standard transmission for the LS trim is a four-speed automatic, while all other trims get the considerably more fuel-efficient six-speed auto-manual transmission. Putting out 169 hp (6,400 rpm) and 158 lb-ft of torque (4,500 rpm), the I4 is rated at 22/30 with the four-speed automatic, and 22/33 with the six-speed auto-manual. Additionally, the Malibu LT2 and LTZ trim levels are available with a 3.6-liter VVT V6 that generates 252 hp at 6,300 rpm and 251 lb-ft of torque at 3,200 rpm. Of course, the standard six-speed auto-manual transmission accompanies the V6 engine. The EPA rates the 3.6-liter V6 at 17/26. Most professional reviewers note that the 2.4-liter I4, while not particularly quick off the line, nevertheless gets up to speed effortlessly. A time of 9.5 seconds was noted from 0-60 with the I4 powerplant. On the other hand, reviewers found the 0-60 time of 6.7 seconds reported with the 3.6-liter V6 to be near the top of its class. The four-speed automatic transmission is described as smooth and accurate, with the six-speed being called generally competent, but apt to be caught napping at times when shifting is necessary. Featuring a four-wheel independent suspension with MacPherson front struts, front and rear stabilizer bars, and a multilink rear, the 2010 Malibu takes most bumps and potholes with aplomb. The LS, LT, and LT2 trims all roll on standard 17-inch wheels, while the LTZ is delivered with 18-inch polished aluminum wheels, which are optional on the LT2. Most reviewers feel the 18-inch tires, being a tad wider, don’t take to road imperfections quite as well as the 17-inchers. The Malibu’s steering and handling characteristics depend on engine choice, with I4-equipped trims depending on electrically operated power steering and V6 trims carrying the beefier hydraulic systems, though body lean is taken in stride by both systems. Typically, the electric power-steering units prove somewhat better for maneuvering at slower speeds, while the hydraulic systems provide a better feel in cornering. The wider 18-inch tires, though they give a harsher ride, are said to grip tight corners a bit better. Overall, reviewers are pleased with the Malibu’s yin/yang as far as ride and handling are concerned. Such words as “supple” and “cushy” are bandied about freely when reviewers describe the Malibu’s maneuverability and ride comfort. One can only hope that an all-wheel-drive trim may be in the offing soon. Though lacking few standard or optional goodies, the 2010 Chevy Malibu disappoints a few professional reviewers in not offering such amenities as GPS-based navigation, satellite traffic information, and heated outside mirrors. These oversights, however, seem to be somewhat mitigated by what it does offer, such as a reasonably large (15.1-cubic-foot) trunk and well-insulated cabin, not to mention a manageable base price. As for standard comfort and convenience features offered, the Malibu LS comes with cloth front bucket seats with a two-position power-adjustable driver’s seat, split-folding rear seats, a tilting and telescoping steering wheel, center console, power windows, door locks, and mirrors, remote keyless entry, cruise control, air conditioning, Onstar hands-free communications, and an MP3-compatible single-CD player, with 40 watts of oomph, six speakers, and satellite radio. The LT adds front and rear carpeted floor mats, steering-wheel-mounted audio controls, and a fold-flat passenger seat. 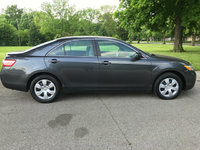 For 2010, the Malibu LT2 features suede upholstery, heated front seats, a six-way adjustable power driver’s seat, heated front seats, leather-wrapped steering wheel and shifter knob, a universal remote transmitter, remote start, and upgraded Bluetooth/Onstar telecommunications technology. Topping them all, the LTZ offers an eight-way power-adjustable driver’s seat and four-way-adjustable front passenger seat, two-tone leather upholstery, automatic, dual-zone climate control, wheel-mounted paddle shifters for the six-speed auto-manual transmission, and premium carpeted front and rear floor mats. Options range from floor mats and Bluetooth technology in the LS trim to a power-operated sunroof, remote start, and rear 110-volt outlet in the LT to a 210-watt, eight-speaker premium audio system, 18-inch polished aluminum wheels, and dual exhaust tips for the LT2 and LTZ trims. A dealer-installed rear-seat DVD entertainment system is also available with the LT2 and LTZ trim levels. Standard safety equipment for the 2010 Chevrolet Malibu includes four-wheel disc ABS with electronic brakeforce distribution and emergency braking assist, traction and stability control, dual front side-mounted airbags, front and rear head airbags, daytime running lights, a remote anti-theft alarm system, and the Onstar post-collision safety system. The National Highway Traffic Safety Administration (NHTSA) gives the 2010 Malibu five stars across the board for impact testing scores and four stars in rollover protection tests. The Insurance Institute for Highway Safety (IIHS), while lacking information regarding the 2010 trims, gives the ’09 Malibu its highest rating of “good” for both front- and side-impact protection. Though owners of the 2010 Chevy Malibu are, for the most part, well-satisfied with their ride, a few issues have been raised. For instance, acceleration with the I4 engine could be better, at least from a stop, and mileage is mentioned as a bit of a problem with V6-equipped trims. The Malibu’s brakes seem to be problematic for more than a few owners, with at least two mentioning the need for brake service before six months of ownership. Irksome details, such as lackluster rear styling, poor rear-seat legroom, the lack of floor mats as standard equipment, and the use of some chintzy cabin materials, also disturbs numerous owners. 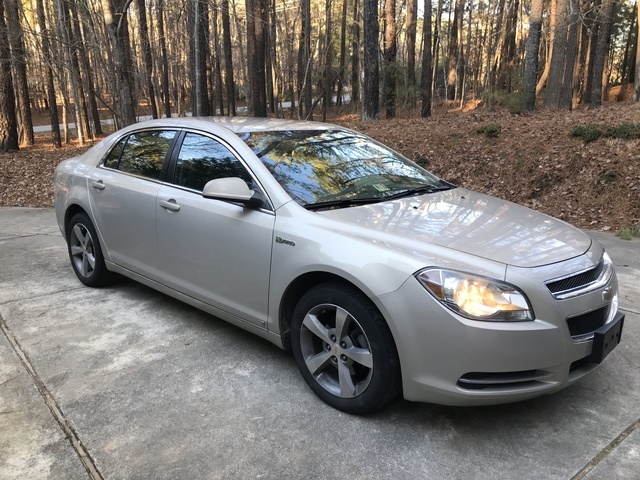 An overwhelming number of owners, however, feel that the 2010 Malibu offers outstanding value, great gas mileage with its I4 engine, superb acceleration with the V6, better-than-decent handling, and a comfortable, quiet ride. Such items as remote start, cabin styling, and front seat roominess have earned special praise. What's your take on the 2010 Chevrolet Malibu? Users ranked 2010 Chevrolet Malibu against other cars which they drove/owned. Each ranking was based on 9 categories. Here is the summary of top rankings. Have you driven a 2010 Chevrolet Malibu? I went in this morning to start my car and I heard beeping sound and my gauges did not light up and did not work, but my car started and it runs great... can somebody please help me.. thank you. Engine power reduced came across my dashboard and my car cut off and will not crank anymore . someone please help me out with what may be the problem ?